What is a .ly Domain? 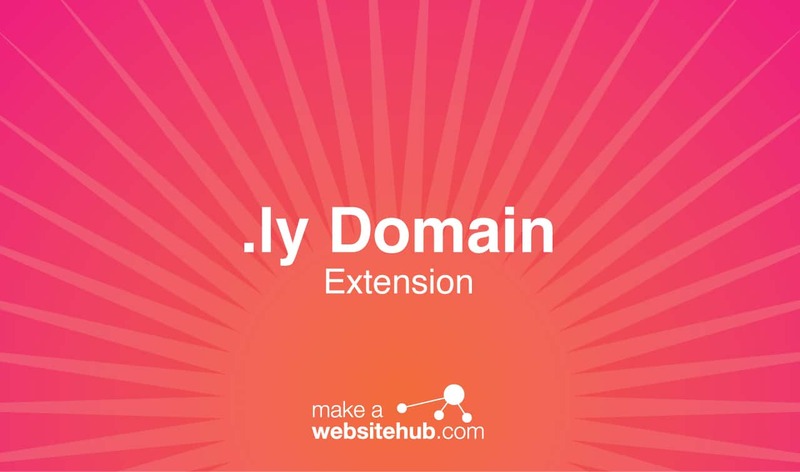 Businesses and individuals looking for a fun and colorful alternative to traditional domain extensions should consider the .ly domain. The unique domain has gained a lot of popularity in recent years thanks to its adoption by huge social media networks and URL shorteners. Despite its familiarity today, the domain was delegated over two decades ago as a country-code top-level domain for Libya. It was originally created as a domain for businesses and individuals residing in the North African country. However, Libya has made the .ly domain available to anyone in the world. It’s versatile enough to be used by companies belonging to a wide range of industries. Why Choose a .ly Domain Extension? Everyone has a .com, .org, or .net website. These common extensions have been used since the early days of the Internet. With more unique options available, why get lost in the shuffle? The .ly domain extension offers a breath of fresh air to an otherwise congested market. It’s viewed as the more youthful alternative to standard extensions. As a result, more and more companies are using it to target a younger audience. Tech-savvy individuals will instantly recognize it thanks to popular social media platforms. You can use this to your advantage to attract new customers or clients to your website. If people use a search engine to find more information about something in your industry, they will be more inclined to click on your link with a unique domain such as .ly. It even has its place off the internet. Many companies utilize the extension as part of their overall brand. They cater their company name and logo to the domain, allowing them to use it in their advertisements and products. This marketing technique builds more trust between you and your customers while creating a sense of familiarity they will continually follow. The .ly domain is a popular extension for those who partake in domain hacking. Domain hacking creates fun URL names that take the shape of familiar words or phrases. Flip through the dictionary and you’ll quickly see how endless the possibilities are. There are so many words that end in “ly,” so you won’t have a problem coming up with some fun ideas. If you own a personal blog chronicling your adventures through life, you could name your website Live.ly. It’s short, sweet, and very memorable. If you’re a media company pushing out the latest news on a regular basis, you could call your website NewsDai.ly. These are just a couple of examples of the things you could do with a .ly domain. Where Can You Buy a .ly Domain Extension? Because the .ly domain is a country-code top-level domain, you may have to do a bit more work to register your site. It’s available directly from the General Posts and Telecommunications Company, which is a state-owned Libyan organization responsible for the domain. You can also get it at a few domain name registrars. Here is one option you may want to check out. The domain is open to any person or businesses, even if they’re not located in Libya. Generally, there are no major restrictions to worry about. However, there has been an instance of domain seizure by Libya due to content on the hosted website. Typically, this isn’t an issue for website owners, though it is something you should be aware of.